Dongguan FlexGlory Machinery Accessories.,Ltd is a premier supplier of cable protection conduit and machinery parts worldwide. 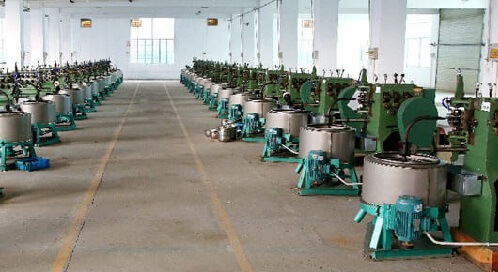 The business scope of FlexGlory mainly includes flex conduit, flexible metal conduit, plastic flexible conduit, corrugated conduit, split loom tubing, metal flexible conduit, pvc coated conduit, conduit fittings, conduit connectors, cable glands, and pneumatic air hose etc. The material of products cover polyvinyl chlorid(PVC), polyethylene(PE), polypropylene(PP), polyurethane(PU), nylon(PA), rubber, galvanized steel, stainless steel etc. Our products are widely used in CNC machines, engineering machines, automation equipments, automotive wiring harness, port equipments, electronic appliances and other industries of cable protection. In addition to competitive price, we have perfect after-sales system and technical support. FlexGlory are honor to cooperate with customer for product testing according to needs. We diligently to treat every inquiries and orders, strictly follow the production process, management and supervision. Based on the “not the biggest, but for the best” business philosophy. FlexGlory strives to provide customers with high quality products and service. “Your brand, our vision !“, Let’s learn and grow together. • Manufactory Address: B building, No.80 Hongfu Road, Nancheng District, Dongguan City, Guangdong province, China. • Business Tags: flexible conduit supplier, flexible conduit fittings, cable glands, cable drag chain, heat shrink tubing and machinery accessories manufacturer wholesaler.